Brisbane Transport Divisional Manager Alan Warren will depart the organisation in the near future after over a decade of service to public transport. 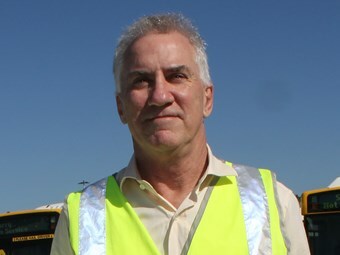 Queensland Bus Industry Council Executive Director David Tape says Warren has always been passionate about the industry and his employees. "From memory, Al’s seen steering the ship – or the bus – for 14 or so years," he says. "He’s always been a man that’s showed a great deal of passion for the services they provide and the people of Brisbane. "I think it’s going to be a big loss to Brisbane Transport seeing Al go, and I just hope he’s not lost to industry as a result of this." Warren’s imminent departure from Brisbane Transport also raises questions about the future of the organisation. Queensland’s Commission of Audit report recommends all private operators in South East Queensland - including Brisbane Transport – engage in a competitive tendering process for services from September 2015. Tape would not comment on whether there was a link between his departure and the possible privatisation of the organisation. Brisbane City Council would not make public comment on the non-renewal of an individual’s employment contract, but in a statement says Geoff Beck - currently Field Services Divisional Manager - has been appointed the new Brisbane Transport Divisional Manager. Council Public and Active Transport Chairman Peter Matic says Translink recently provided council with an extension for its contract to operate bus services until September 2015 and advises some operators will receive an extension past this date. "Council will be contesting the tender process once the State Government announces the details of contestability and we will be competing to win," he says. "The Lord Mayor has previously said he does not support the privatisation of Brisbane Transport. "We will continue to make Brisbane’s public transport as efficient as we can because we need to provide the best value for money for ratepayers and taxpayers." Council buses undertook almost 3.1 million bus trips in the last financial year, and the cost to council of running Brisbane Transport was $78 million. Warren could not be reached for comment.